This essay is adapted from the text in the exhibit Batchelder: Tilemaker, which was on view at Pasadena Museum of History from September 2016 through March 2017. 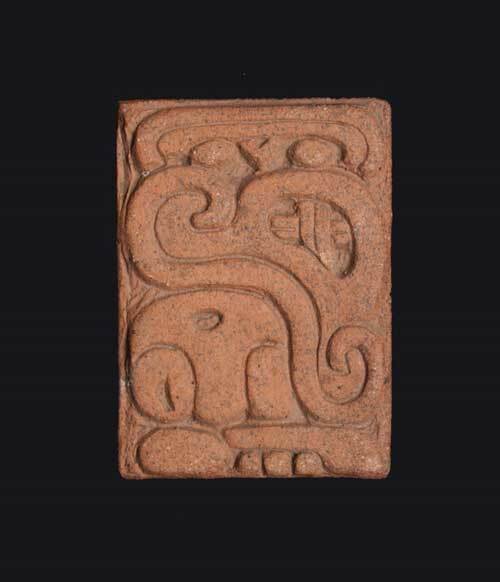 Ernest Batchelder: Educator, Designer and Tilemaker: Part I was posted on September 27. Also in 1912, Batchelder married Alice Coleman, a pianist, music teacher, and founder of the Coleman Chamber Music Concerts (still active). In honor of his marriage, Batchelder renovated his house on the Arroyo, installing a magnificent tiled fireplace in the front room, among other changes. 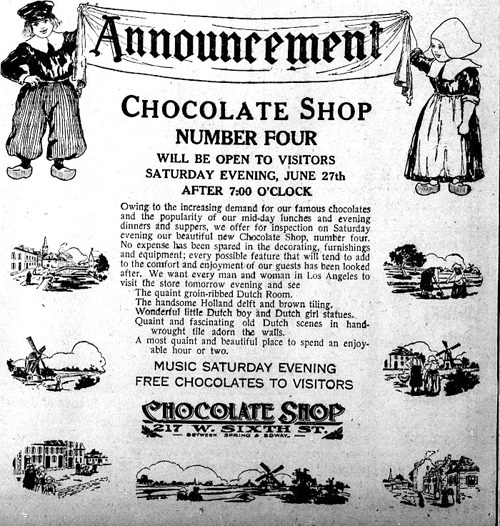 Advertisement for the Chocolate Shop. Batchelder received his first large commercial commission with the contract for the interior of The Chocolate Shop, located at 217 West 6th Street in downtown Los Angeles, opened in 1914. He and his assistant Anne Harnett had only five days to make the designs and provide samples before they were awarded the $65,000 contract. The Batchelder-Wilson tile factory at 2633 Artesian Street. Los Angeles Times, September 19, 1920. “Expansion became an early habit,” wrote Batchelder about his tile company. By 1920, the company had outgrown their Pasadena site and moved to 2633 Artesian Street in Los Angeles. The new factory contained a mixing plant, a blower house, boiler house, kilns, and a warehouse and shipping unit. Employees too increased – from four in 1914 to 175 in 1925. The factory complex eventually sprawled over seven acres. About 1920, Batchelder took on two partners, Lucian Wilson (1882-1982) and Homer Glidden (1878-1952). Wilson attended Throop Polytechnic during the years Batchelder taught there and joined the tile company about 1913. By 1917, he had risen to foreman. Glidden was a practicing architect who built the Carnegie Library in Upland, California. The company continued to expand throughout the 1920s, with showrooms in Oakland, Chicago, and New York. Advertisements were placed in trade and popular periodicals. Commissions flowed in from across the country. New tile designs were introduced, although Batchelder’s original designs from the 1912 catalog continuously remained in production. Catalogs were published in 1916, 1920, and 1923. Specialized fireplace mantel, pavers, and fountain catalogs were produced in the late 20s. Brighter glazes began to be used in the 1920s, and Spanish revival, Art Deco, and Mayan or Pre-Columbian tiles became popular. By 1928, the firm reached a high of $473,000 worth of sales. Sadly, the stock market crash in 1929 brought this growth to a halt and within five years, sales dropped to $30,000. The First Trust & Savings Bank of Pasadena foreclosed on the factory in December of 1935, and sold it to Bauer Pottery. Bauer continued producing tiles until 1939. Bowl with scalloped edge. Marked 69/E.A. Batchelder/Pasadena/Made in USA. Gift of Dr. Elizabeth A. Smalley, 2014.005.038. Ernest Batchelder regrouped from his losses and started producing slip-cast pottery at 158 Kinneloa Avenue in Pasadena. 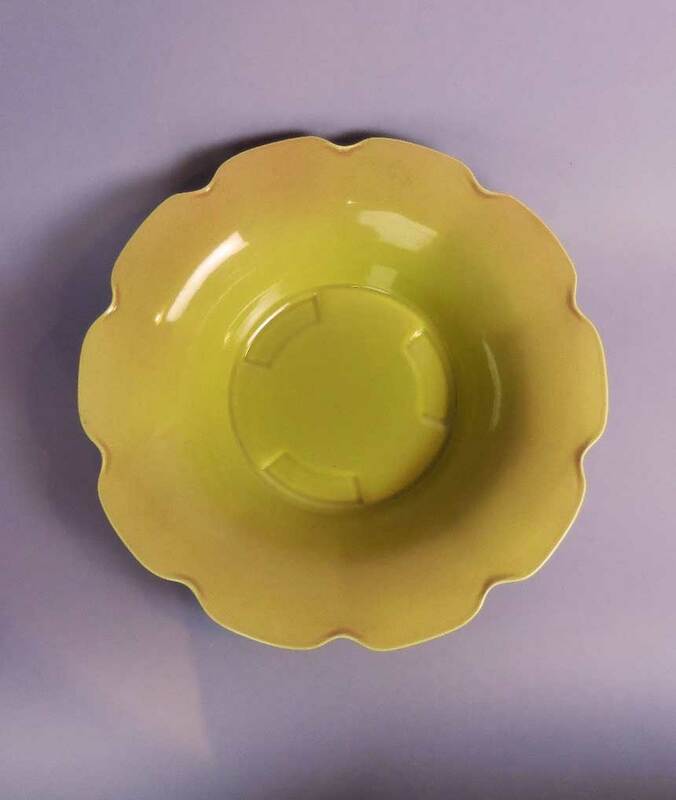 He incorporated the business as Pasadena Pottery in 1936, also known as Batchelder Ceramics or Kinneloa Kilns. The pottery specialized in simple, Asian-inspired forms with delicately-colored glazes. In 1949, a year after the death of his wife, Batchelder sold the business, glaze formulas, molds, and “goodwill” to his foreman, James Stuart Bruce (1919-1998). Batchelder’s tile and ceramics, while important, are only a part of his legacy to the community. For almost fifty years, he served as a proponent of arts education and inspired several generations of artists. He was instrumental in the design of Pasadena’s Civic Center, was a founding member of the Music and Art Association, and served as the president of the Pasadena Playhouse for many years. Ernest Batchelder died in 1957, leaving an indelible reminder of his artistic vision in the many Batchelder tile installations now preserved across the country.